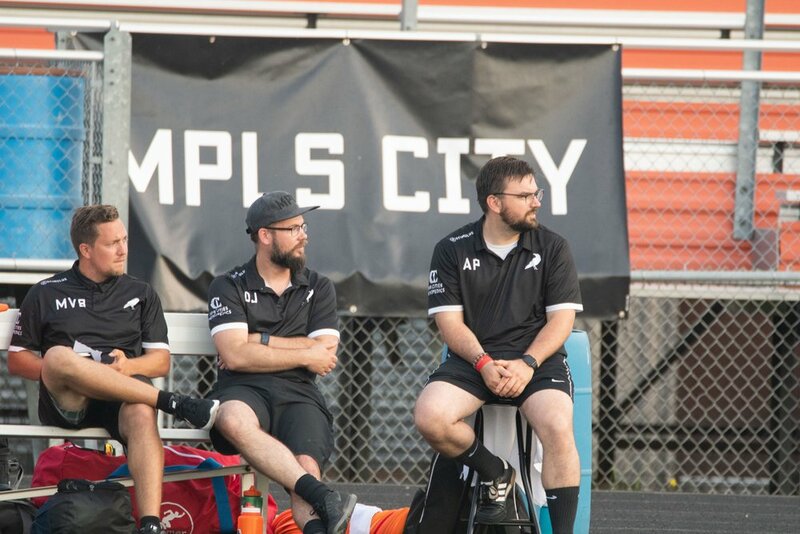 NPSL Midwest-North Conference winners and proud Crow enthusiast Minneapolis City made a series of big announcements regarding the club’s staff and levels of play over the last three days. The first change has moved two-year first team head coach Adam Pribyl to the position of Athletics Director. Pribyl has coached the Crows through their two seasons in the NPSL and leaves his current position with an 18-5-6 record. Pribyl won the Midwest-North conference of the NPSL with the Crows in 2018, famously doing so without losing a regular season match. Needless to say, the move puts a person who knows the club well in an important position, managing staff and resources at both a broad and small scale. Pribyl’s change in position begins a bit of a tradition in the NPSL North, which has existed in its current state for two seasons, in which the conference-winning head coach ceases to coach his side after winning said title. Speaking of its U23 side, Minneapolis City also announced a big change for its U23s with the placing of Jeremy Handler as the side’s new head coach. Handler is a major example of experience within the Twin Cities, having worked for Augsburg University and Hamline University as an assistant coach for men’s and women’s soccer teams. Handler also holds a role within Minnesota United FC as a Development Academy Apprentice Coach and has spent a period of time as an assistant coach for one of City’s NPSL rivals, the Minnesota TwinStars. Minneapolis City U23 played its first season as an independent side, playing non-conference matches against the likes of Granite City (UPSL), Bugeaters (UPSL) and the Milwaukee Bavarians U23 team. City’s final announcement was perhaps its biggest, with the Crows announcing that Matt VanBenschoten would become their first team head coach for 2019, a season which will see the team defend its conference title and compete in the U.S. Open Cup. VanBenschoten coached the club’s U23 side for its first year of existence in 2018 and also served as assistant coach for the first team. On his first team’s new head coach, Hoedeman explained that VanBenschoten’s interpersonal connection to the people he works with was a key factor. “The players like and respect him. Part of why they do is his commitment to them--he puts in a ton of time, so much thought, and a lot of passion into creating a context for each of them to succeed individually and as a collective. In other words, he cares. To have someone like that is critical. We want those guys to succeed not just with us but beyond us as well”. The club admits in its own announcement that these large-scale changes may very well provide challenges in the short term. “This season, there will be a level of transition, both in the coaching ranks and in the playing ranks.” But the idea that it will allow the club to become more stable and productive in the long term has been determined to be a risk well worth it. Time will tell how these changes play out, but at the moment it is clear that Minneapolis City is looking for ways to make an already impressive project become something more. Bringing stability and quality to the Twin Cities area when it comes to soccer opportunities will surely be a major achievement for the state and the sport; Minneapolis City seems to have its eye on becoming the source for that change.